As policy and legislative processes are underway, issuance of licenses and mining activities have not been suspended to wait for completion of the processes. It is therefore imperative to understand the extent to which ongoing mining activities comply with the existing regulatory framework. 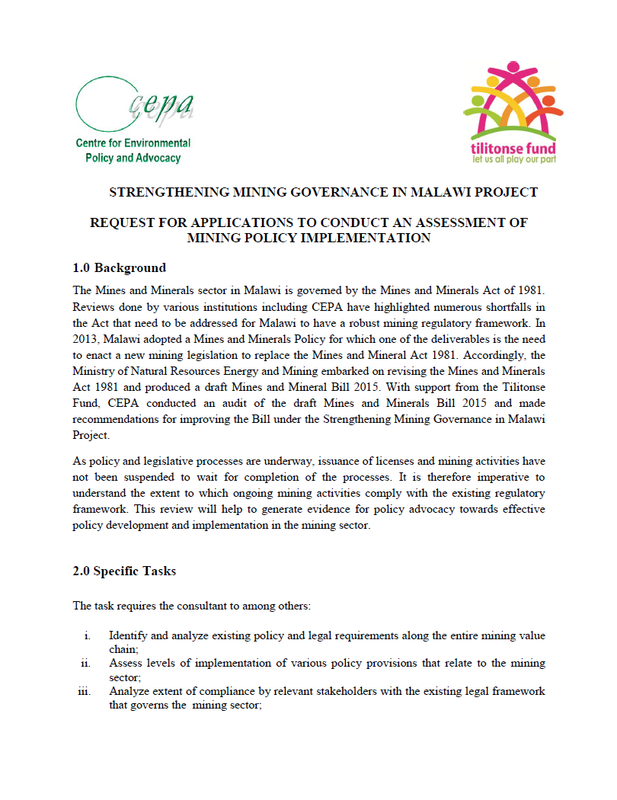 This review will help to generate evidence for policy advocacy towards effective policy development and implementation in the mining sector. The consultancy team is expected to produce a final report, a summary and a presentation. 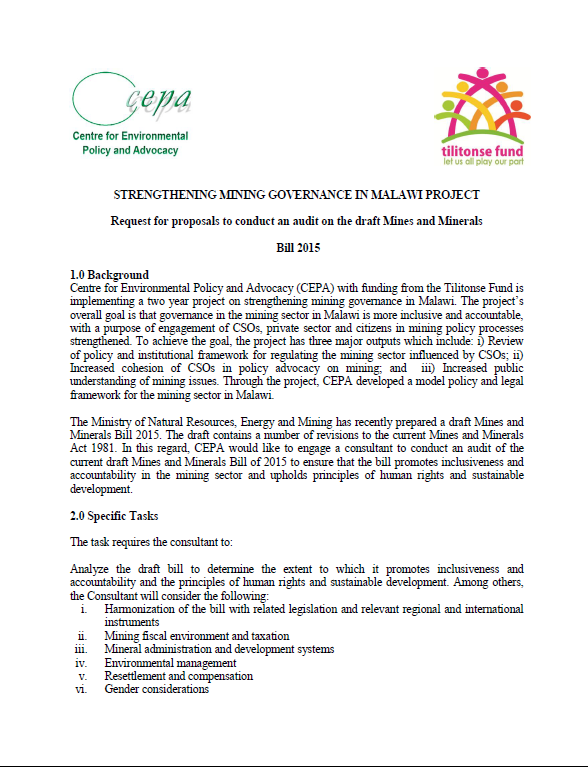 This activity falls under CEPA’s two-year project “Strengthening Mining Governance in Malawi, which is funded through the Tilitonse Fund. 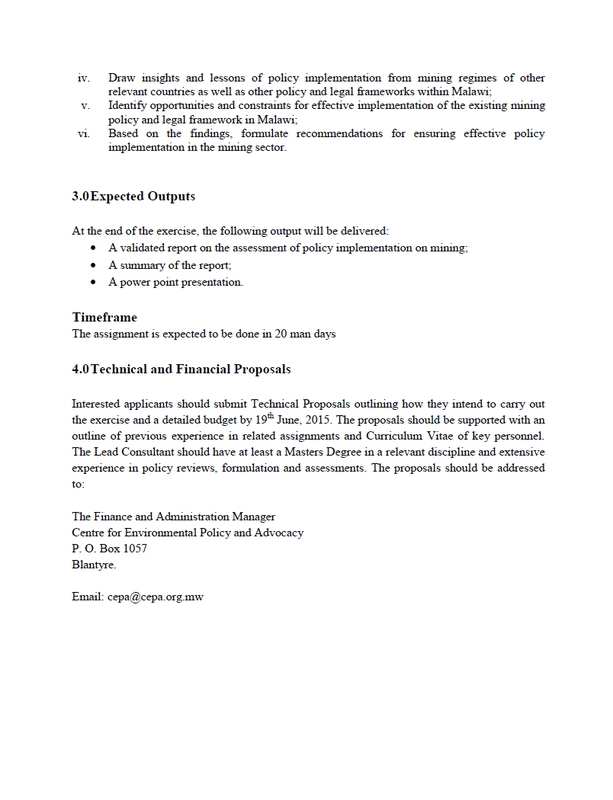 CEPA has asked consultants to submit their technical proposals and detailed budget by 19 June 2015. 20 working days have been allocated for this assessment. Submissions should be sent to cepa@cepa.org.mw. The call can be downloaded here.